New Year, New Mike Maihack Comic! 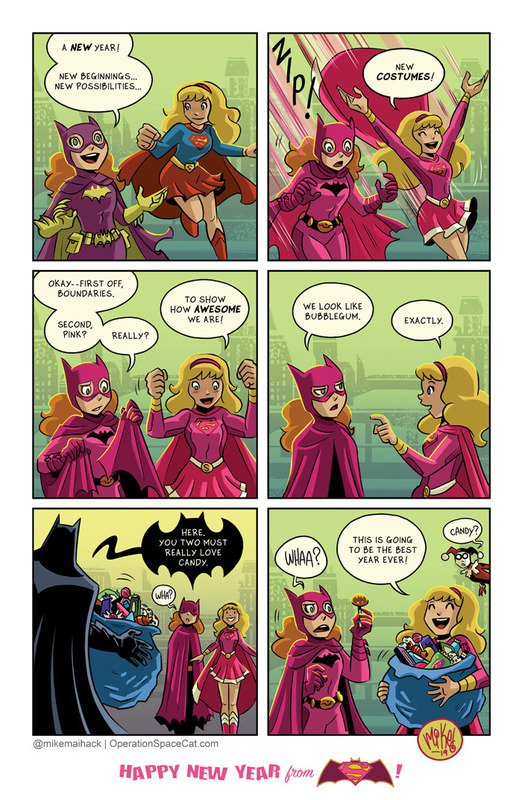 Every year, artist Mike Maihack delights us with a new comic strip starring an adorable team up between Batgirl and Supergirl! He skipped Christmas this year and instead delighted us with a New Year’s comic. And I know it’s a few days removed from New Year’s Day, but it’s still close enough for me to share! Maihack is always reliable! I want to see him get some professional DC Comics work, gosh darnit! 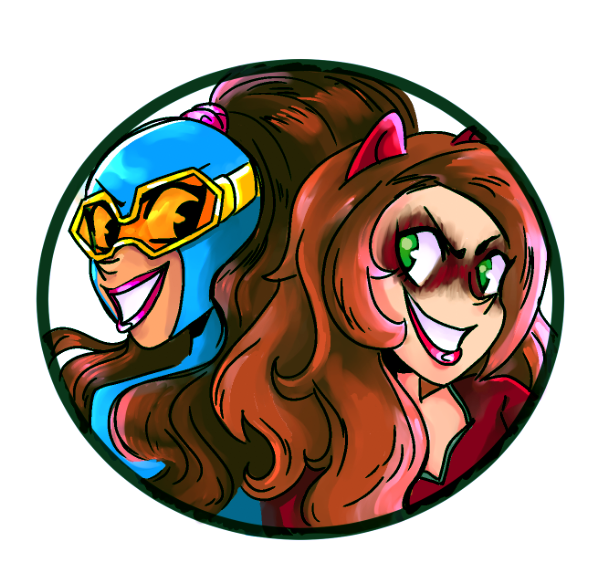 Make it happen, universe! Would anybody prefer if I got these reviews out on Thursdays instead of Saturdays? I was thinking about optics the other day and realized that, much like my movie reviews, my comic reviews come out pretty late, too. That probably reduces the amount of traffic I could be getting. But then I don’t really worry about traffic to this blog. I’m not getting rich on this thing. And I go with Saturdays because it gives me time to still do my day job. It would be a bit more work to rush out the reviews on Thursday, but maybe people would prefer that. Let me know in the comments. If you’re cool with Saturdays, let me know that too! This week is all DC Comics! None of my regular Marvel comics came out this week, and as much as I’d like to review the new Darkhawk mini, I’m staying far away from Marvel’s latest Big Event Infinity War off-shoot. But DC does not disappoint, for the most part, with new issues of Batgirl, Justice League: No Justice, Silencer, Terrifics, and the finale of James Tynion’s Detective Comics! Which wins Comic Book of the Week! 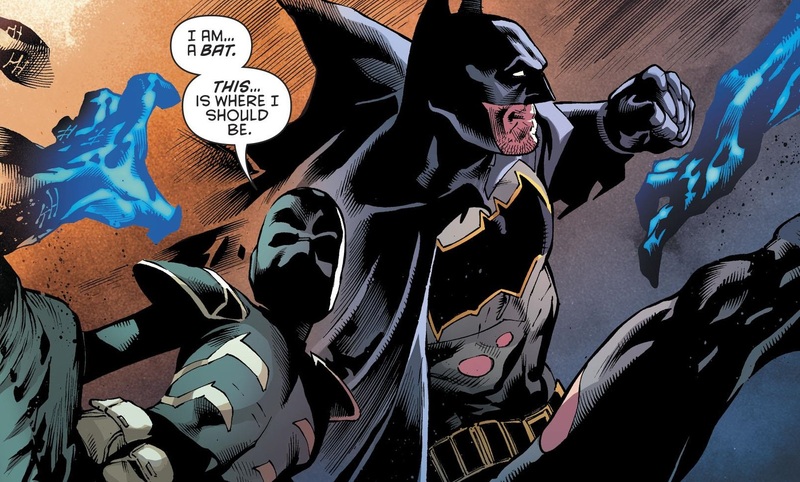 Now I need to decide if I’m going to keep reading Detective Comics after he leaves. I also keep wanting to read more about Jessica Cruz, but never really got into any of her comic appearances. Anybody have any good recommendations on where to start? Comic Reviews: Batgirl #23, Detective Comics #981, Justice League: No Justice #3, The Silencer #5 and The Terrifics #4. How about that Avengers: Infinity War, huh? That sure was something! I enjoyed the movie, but I wasn’t blown away. I’m starting to think I let myself get too hyped up for these Marvel movies. But then I remember that Black Panther and Thor: Ragnarok were amazing. So mileage may vary. Expect a fuller review on Wednesday. As for comics this week, we’ve got a whole pile! No Avengers, I’m afraid, because I don’t read any current Avengers comics. Though the latest issue of Mighty Thor, which caps off the saga of Jane Foster: Goddess of Thunder, wins Comic Book of the Week. Though I wasn’t particularly happy with how Mighty Thor ended. It’s a gorgeous comic, at least. 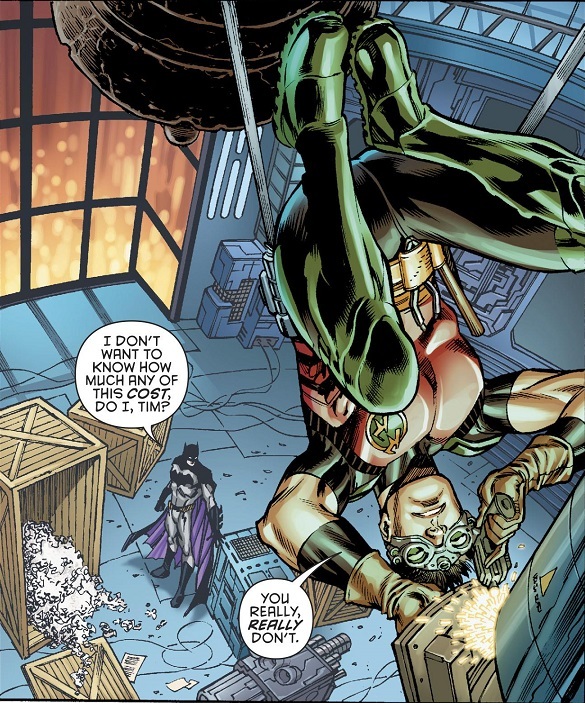 Wherever Russell Dauterman goes next, I’m sure to follow. Also, The Hunt for Wolverine kicked off this week and I will not be reading or reviewing. I think Marvel really, really dropped the ball after killing Wolverine, and I have zero interest in his return. He should have stayed dead. Comic Reviews: All-New Wolverine #34, Batgirl #22, Detective Comics #979, Exiles #2, Mighty Thor #706, The Silencer #4 and The Terrifics #3. I’m still over the moon that we’re getting a new Multiple Man comic book. I don’t know much about this Matthew Rosenberg fella, and I’m slightly disappointed that it isn’t me writing the new Multiple Man comic, but you’re can be darn sure I’m going to read it all! And review it right here! Some pretty solid comics this week, from Detective Comics to Batgirl to a couple more of DC’s new titles. I’d been waiting to check out The Terrifics and it did not disappoint. 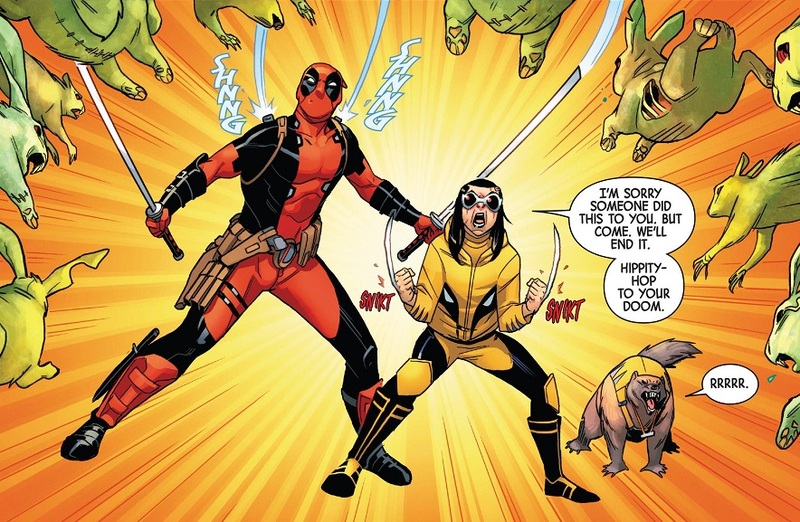 But Comic Book of the Week goes to All-New Wolverine for a delightfully funny done-in-one issue. Speaking of new comics, Marvel has officially announced Nick Spencer as taking over Amazing Spider-Man. I don’t have anything to do with the guy’s Twitter feed or whatever brouhaha erupted during Secret Empire, but I really liked his Ant-Man and Superior Foes comics, so I’m definitely on board for his Amazing Spider-Man. Comic Reviews: All-New Wolverine #31, Batgirl #20, Detective Comics #975, The Silencer #2 and The Terrifics #1. I think I might have been in a bad mood this week. I don’t think I was. I had a pretty nice week. Saw some movies. Did some work. Had lots of good times. But none of the comics this week really spoke to me, not Amazing Spider-Man or Batgirl, and definitely not Doomsday Clock! Comic Book of the Week is going to be the new Detective Comics, for a big important story, but one I felt got a little too big. Still good, at least. Comic Reviews: Amazing Spider-Man #794, Batgirl #19, Detective Comics #973, Doomsday Clock #3 and Marvel Two-in-One #2.